Rest Dodd is seen here from The Nab, across the morass between them. On one of my trips here the ground was frozen solid. This may be the best condition for this walk but I've managed to cross this boggy ground after wet weather without too much difficulty. In any case, if the ground is frozen here the short but very steep pass over to Martindale from Howtown may be iced up and impassable to road vehicles. 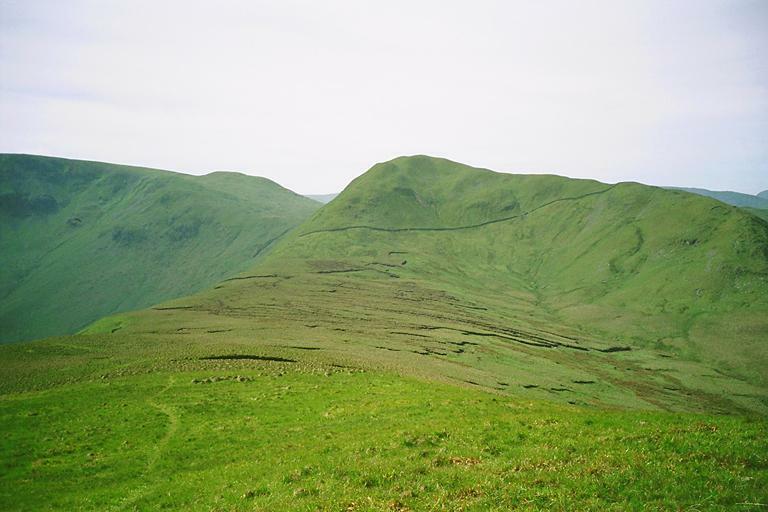 The Knott is seen to the left of Rest Dodd; traces of Caudale Moor and Red Screes to the right. Smaller version of this picture.